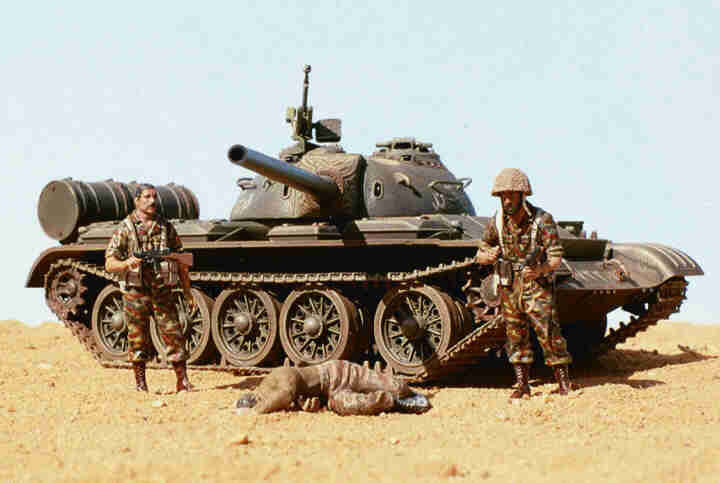 Based on the Esci T-55 kit. Figure conversions from the Airfix US marines Multi-pose figure set. They are painted to appear as Six Day War paras with the old french uniform.